Not mentioned though are the occassional hatches where not a single egg hatches : ( but better than just one. Guinea fowl (September) supposed to be for me, but I moved house during the hatch which might have affected them – 6 had been fertile. Muscovy ducks (September) for me at same time – all 12 developing well before moving them, then only 5 ppssible before lockdown then none hatched. 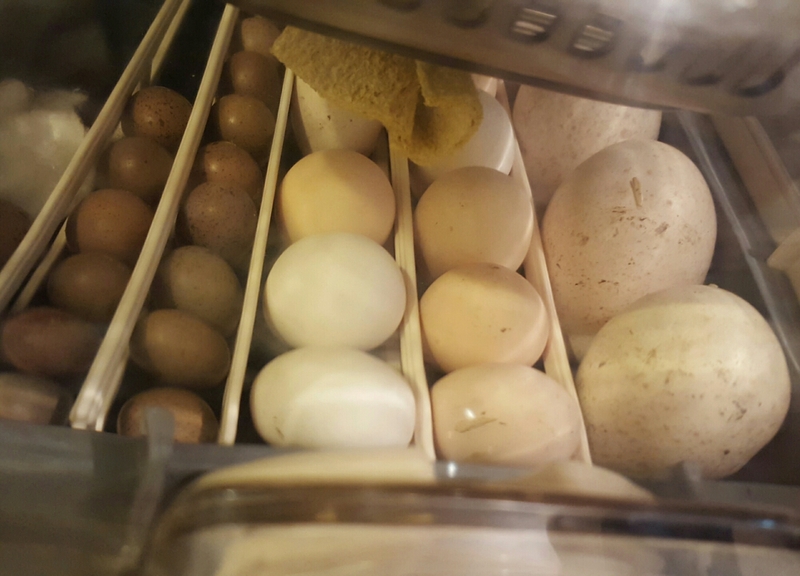 There are 3 periods of potential harm for the eggs – before they’re sent, their journey here and they time under my care. e.g., a power cut resulting in failure of the incubator or a contaminated incubator. My favourite(?) non-hatch though is this one….